Here’s one more olive-oil-braised vegetable recipe. All three recipes (see also my Olive Oil Braised Carrots and Leeks posts) came from the same issue of Fine Cooking magazine. Upon reading these recipes, I knew I had to try them. Right away. I couldn’t decide which one to make first, so I just made all three. And pretty much ate them all right out of the pan over the next few hours. Try them, and you’ll see why! In this dish, the lemon adds just a hint of acidity to offset the subtle anise flavor of the fennel. Position a rack in the center of the oven and heat the oven to 375°F. 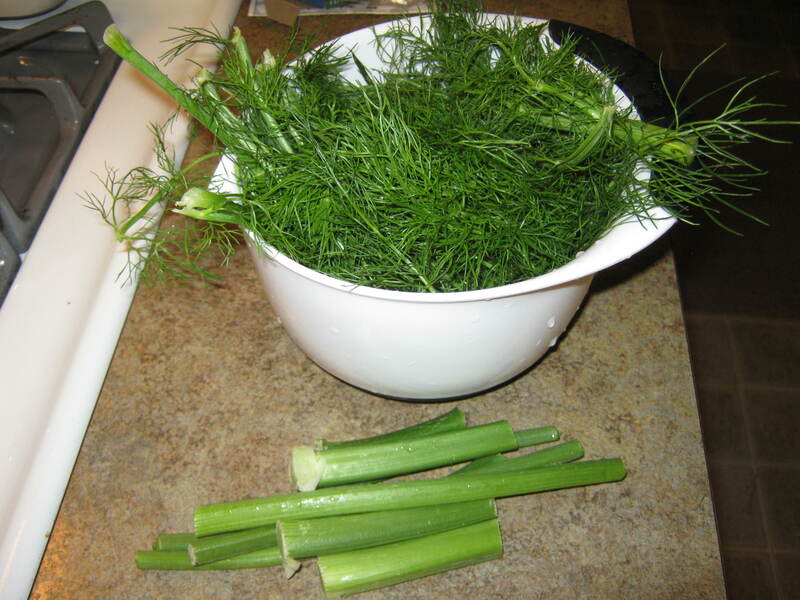 Place the fennel slices in a single layer (a little overlap is fine) in a baking dish large enough to fit them snugly (try a 10×15-inch dish). Nestle the lemon pieces, peel-side up, among the fennel. In a small bowl or measuring cup, whisk together the olive oil and water; drizzle this over the fennel, then sprinkle with the salt. Cover the baking dish tightly with aluminum foil. 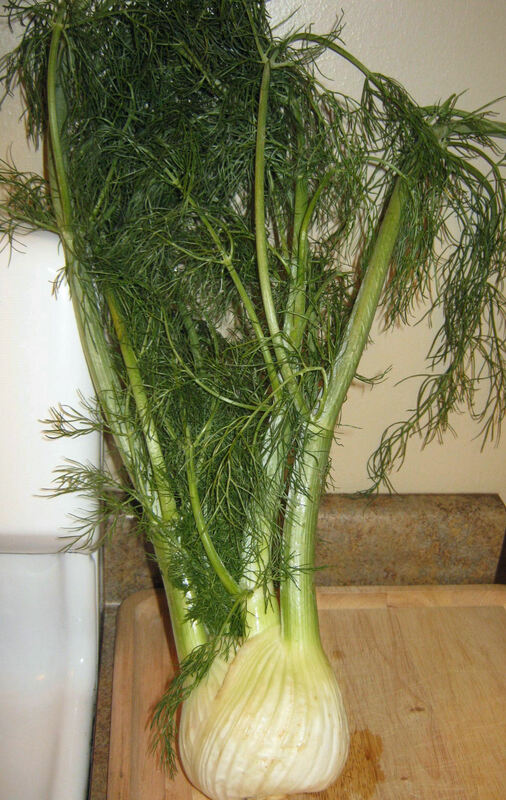 Cook the fennel until completely tender when pierced with a fork, 1 to 1¼ hours. Remove the foil and continue to cook until the fennel is browned at the edges and there is no liquid left in the pan, about 20 minutes. Remove lemon and serve warm or at room temperature, garnished with the chopped fronds (if using). Variations: mix things up a bit by substituting any of the flavored extra virgin olive oils at The Olive Grove. 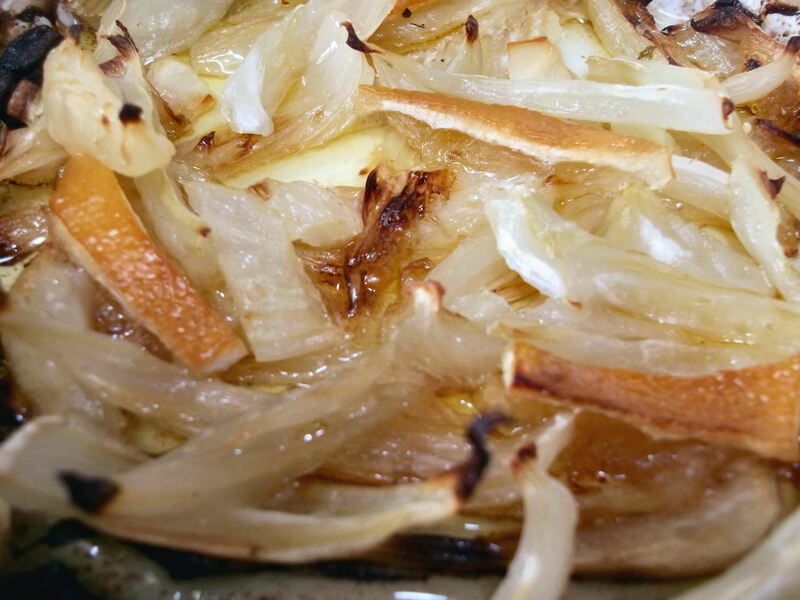 Start with a bulb of fennel. The round base is what you’ll be using. 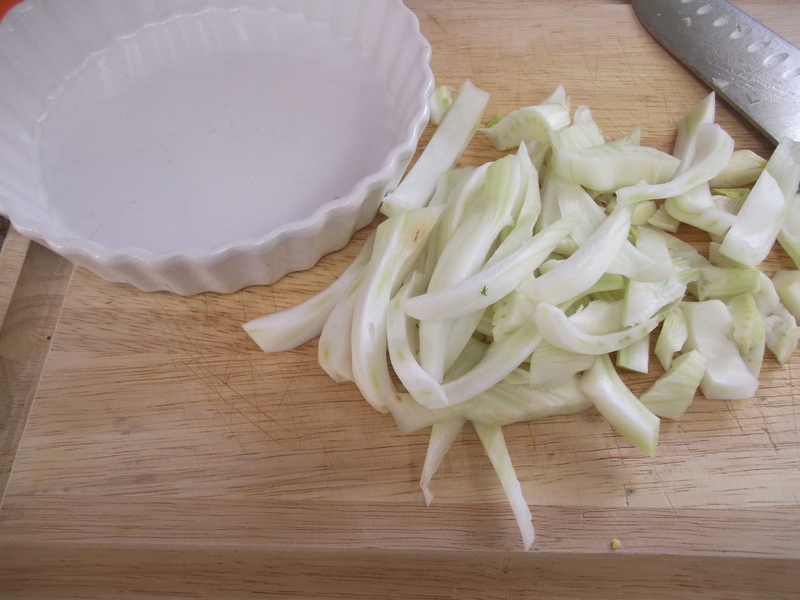 Chop off the stalks and save them for another use: they are like anise-flavored celery. If desired, shop the leafy fronds for use as a garnish later. 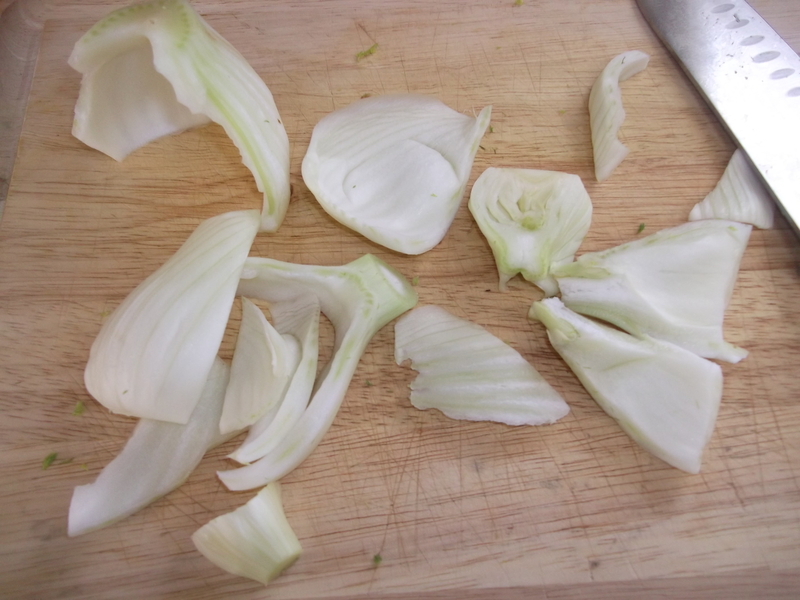 If the remaining bulb is browned or has any dark bits, like these below, just shave off those spots with a vegetable peeler. 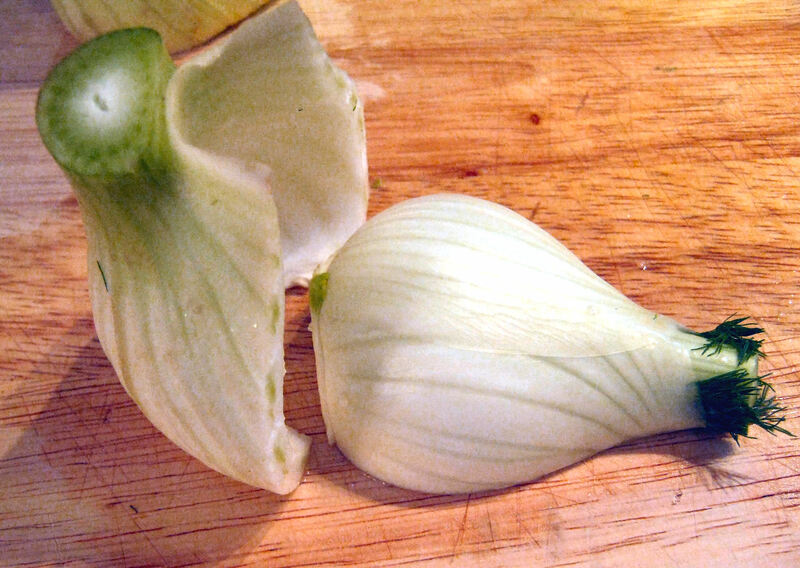 Carefully cut the bulbs in half. Peel off the outer layers. Cut off the root end of the bottom, and continue pulling the bulb apart until you have a bunch of large pieces. Slice these into strips about ¼” wide. 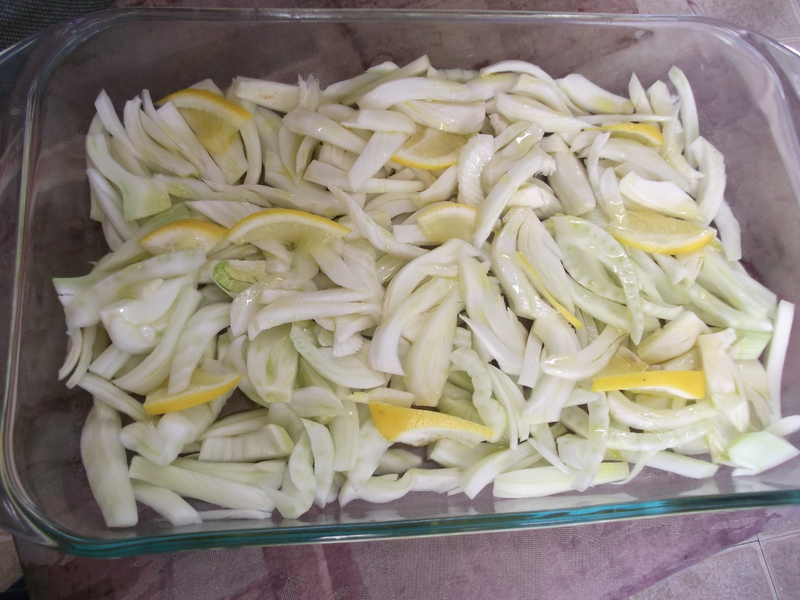 Place the fennel slices in a single layer (some overlap is fine) in a baking dish large enough to fit them snugly. 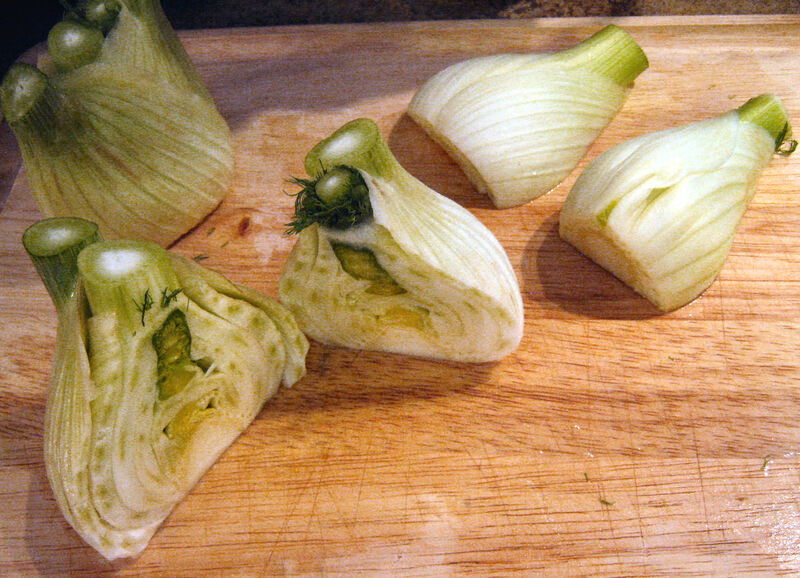 Nestle the lemon pieces, peel-side up, among the fennel. A quick note about the two different baking dishes in the photos. I have a confession: the first time I made this, I made the full recipe in the large baking dish, pictured above. Then I forgot to take any photos of the finished dish and ate it all up. So I made it again — for the blog — but used a smaller dish (pictured below), as I only had one fennel bulb on hand to work with. 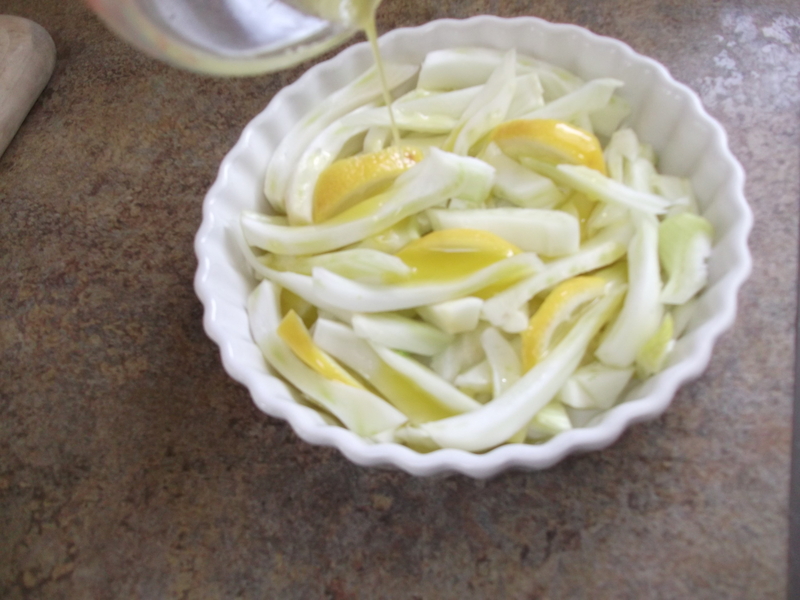 In a small bowl or measuring cup, whisk together the olive oil and water; drizzle this over the fennel, then sprinkle with the salt. Cover the baking dish tightly with aluminum foil and cook until the fennel is completely tender when pierced with a fork, 1 to 1¼ hours. This photo is supposed to show a really soft piece of anise. 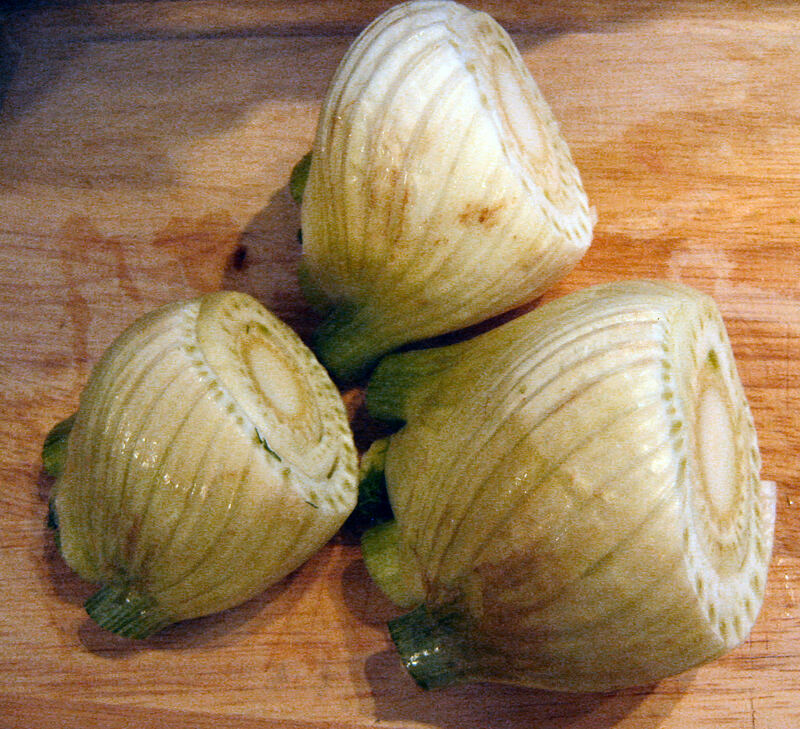 Remove the foil and continue to cook until the fennel is browned at the edges and there is no liquid left in the pan, about 20 minutes. 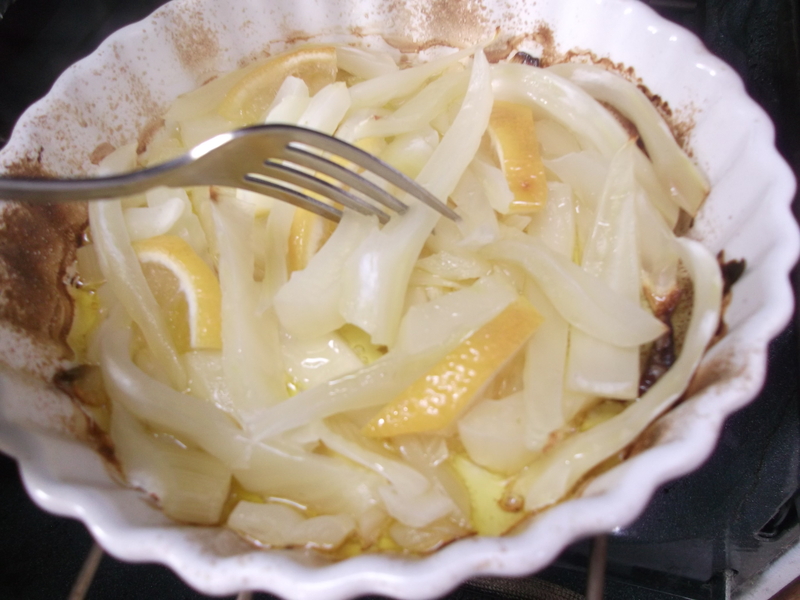 Remove lemon slices and serve warm or at room temperature, garnished with the chopped fronds (if using). Enjoy!